SunDance! 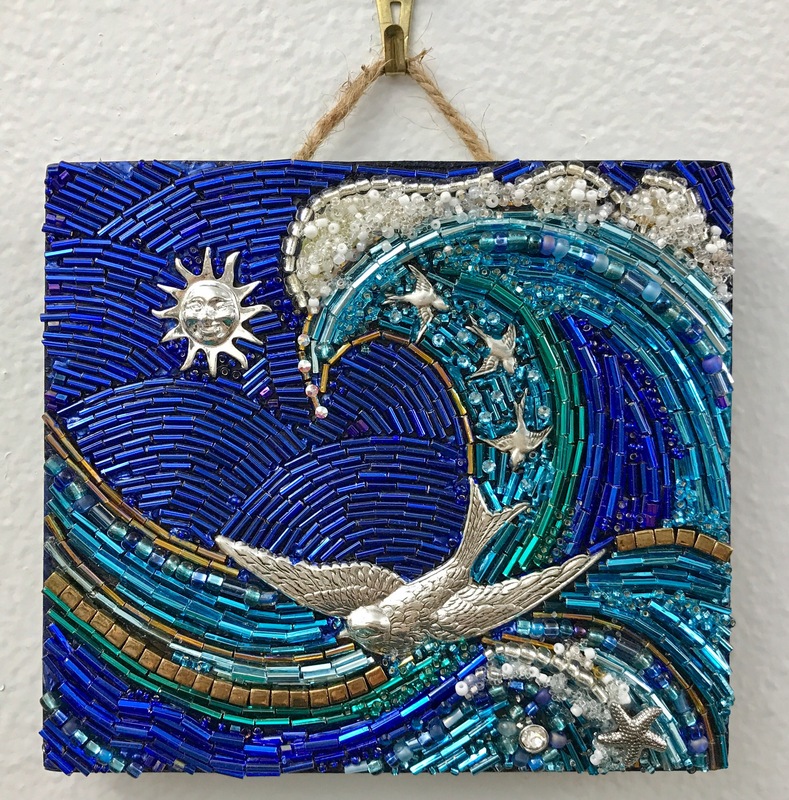 Birds swoop into the waves under a happy sun in this 5″ x 5 1/2″ deep blue and silver mixed media beaded mosaic on stained wood panel with jute hanger. 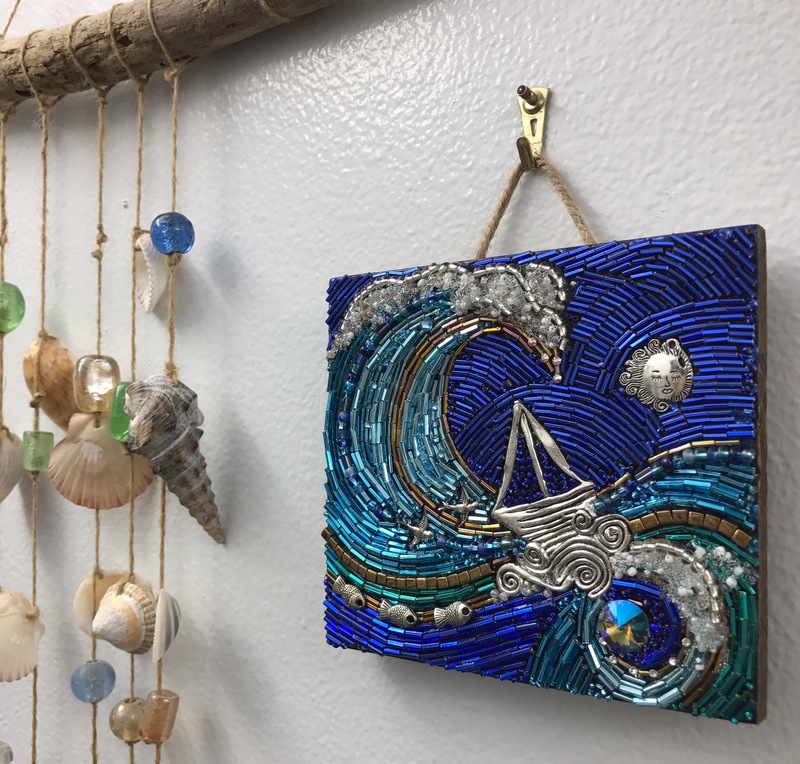 Crystal embellishments and ocean blue beads adorn this ornamental wall hanging. Original design by Diana Maus. Available at MosaicMoods.shop. Ready to hang.